The International Rice Research Institute (IRRI) and Agricultural Learning and Impacts Network (ALINe) jointly organized the Green Super Rice (GSR) project monitoring, evaluation, and learning (MEL) workshop on 8-10 September 2015 at BRAC Centre, Dhaka, Bangladesh. This workshop aimed to create a common understanding of GSR in Bangladesh, to look at how the goals of GSR will be achieved and the roles of its various actors, to define success and how to measure and evaluate it, and to encourage the commitment of the stakeholders to their responsibilities, coordination, and communication. Dr. Jauhar Ali, IRRI scientist and GSR project leader, welcomed the participants and presented the current status of the project in Asia. He emphasized the need for MEL, especially for the GSR project’s progress to Phase III in Bangladesh. Dr. Md. Sirajul Islam, BRAC GSR Coordinator, and Dr. Helal Uddin Ahmed, Bangladesh Rice Research Institute (BRRI) GSR Coordinator, presented the status of the project in their respective institutions. There were 35 participants in all from BRAC, BRRI, Bangladesh Institute of Nuclear Agriculture, Bangladesh Agricultural Development Cooperative, Department of Agricultural Extension, Seed Net, and a representative from the progressive farmers’ group. The participants’ exchange of ideas, through the group and brainstorming activities, was a great contribution and opportunity to fine-tune the targets and specific goals in Bangladesh that will help the project to systematically achieve its objectives for the next phase. The workshop was facilitated by Andre Ling and Catherine You of ALINe. IRRI scientists Dr. Hope Webber and Dr. Valerien Pede, with UPLB professor Dr. Jose Yorobe Jr., gave valuable inputs and shared their experiences on the impact assessment, monitoring, and evaluation. At the end of the workshop, the revised theory of change and commitment to the roles and responsibilities of each institution were highlighted. The report on this workshop will be submitted by ALINe to Sentinel Grants of the Bill & Melinda Gates Foundation. Since it started in 2014, more than 40 extension agents have participated in the season-long training on dry seeded rice (DSR) technology and have consequently reached almost two thousand farmers. The program is based on a format developed at the International Rice Research Institute (IRRI) where participants receive hands-on training on all aspects of crop production and management—from sowing to grain storage—during the entire growing season. Piloted under the Cereal Systems Initiative for South Asia (CSISA) project, the M.S. Swaminathan Research Foundation (MSSRF) announced that it would carry on the season-long training on dry seeded rice. Dry seeded rice using a seed drill compared with manual broadcasting is seen as an attractive option for rice farmers in the Tamil Nadu because they can save on labor for nursery preparation and maintenance, pulling out and transport of seedlings, and manual transplanting. The season-long training course was conducted at KVK Needamangalam from 8 September 2014 to 25 February 2015. It was attended by staff members of MSSRF and officers of the Department of Agriculture in Tamil Nadu. The participants represented the 11 blocks of Tiruvarur District in Tamil Nadu. Dry direct seeding of rice requires less labor, saves water, and the crop tends to mature faster than transplanted crops. The technology has helped transform 250 hectares of uncultivable land in the Sivagangai district of Tamil Nadu into productive rice areas. The Rural Transformation Program of the Reliance Foundation and the Cereal Systems Initiative for South Asia (CSISA) have brought about this change. Sivagangai and its adjoining Ramanathapuram district are two of the most arid areas in Tamil Nadu. With almost 73% of the population depending on agriculture, paddy is a staple crop grown only during the dry season (rabi), mainly under rainfed conditions, with the seeds broadcasted before the rains. The Reliance Foundation has been working in Sivagangai on transforming uncultivable lands (geographically about 50% of the area) to productive agricultural areas. Dry seeding of rice, a resource conserving technology, was introduced in Tamil Nadu through the CSISA project. As the project extended its activities into Sivagangai, CSISA linked with the Reliance Foundation to convert dry tracts of lands from broadcasted rice to dry direct seeded using seed drill. As a result, farmers’ groups have purchased 11 seed drills and are successfully renting out the equipment to other farmers. CSISA works for the sustainable change among rural landscapes in India, Bangladesh, and Nepal. It is led by the International Maize and Wheat Improvement Center with the International Food Policy Research Institute, the International Livestock Research Institute, and IRRI. CSISA is funded by the Bill and Melinda Gates foundation and the United States Agency for International Development. A press conference was organized to raise awareness of the rice production constraints in Tamil Nadu such as water and labor shortage and some possible mitigation strategies such as use of water- and labor-saving technologies. The panel discussants were V. Ravi, director of Tamil Nadu Rice Research Institute; R. Rajendran, head of Coconut Research Station in Vepankulam; Noel P. Magor, head of the Impact Acceleration Unit and Training at the International Rice Research Institute (IRRI); and R. Ganeshmoorthy, hub manager of the CSISA project in Tamil Nadu. Dr. Magor talked about the partnership between India and IRRI, which has been going on for four decades, and the importance of building the capacity of extension workers and rice researchers. Mr. Ganeshamoorthy presented an overview of the CSISA project—its vision, goals, and activities, while Dr. Rajendran and Dr. Ravi shared the agriculture scenario in Tamil Nadu and introduced the labor- and water-saving technologies that could help improve the lives of the farmers and increase the production in the state. The event was conducted in line with the CSISA Tamil Nadu Hub Celebration Workshop on 15-16 September in Thanjavur and was attended by 27 members of the media. In the last 5 years, the Cereal Systems Initiative for South Asia (CSISA) project has scaled out water- and labor-saving technologies. These technologies have reached over 25,000 farmers and have covered more than 70,000 acres in Thanjavur, Thiruvarur, and Nagapattinam districts of the Cauvery Delta and the neighboring districts of Ramanathapuram and Sivagangai. This is one of the impacts reported during the CSISA Tamil Nadu HubCelebration Workshop. CSISA tested and then rolled out laser land leveling, improved and mechanized dry direct seeding of rice, mechanical transplanting of rice under both puddled and nonpuddled conditions, site-specific nutrient management, alternate wetting and drying, and line sowing using a multicrop seeder under reduced-tillage conditions. The technologies are now helping farmers in Tamil Nadu reduce the cost of production and thus increase their income. CSISA also introduced laser land leveling technology in the Cauvery Delta to improve the efficiency of crop production. Farmers has widely accepted the laser land leveling technology because of leveling precision, uniform crop maturity, and water savings by 30–40 %, and increased input-use efficiency. condition compared with puddled transplanted rice,” said Ganeshamoorthy. “In fact, farmers can save as much as 48% of the labor cost from land preparation, 50% for irrigation, and 67% from the cost of seed and sowing.” Through this technology, farmers can save around USD100 or about 20 % of the overall production cost per hectare, according to him. g The Tamil Nadu Rice Research Institute, the National Bank for Agriculture and Rural Development, the ITC Agribusiness division, Syngenta, MS Swaminathan Research Foundation, and the Reliance Foundation also supported the research, capacity-building, and extension work toward large-scale adoption of the technologies. These partner organizations share CSISA’s goal of increasing the food and income security of resource-poor farm families in South Asia through the development and deployment of new varieties, sustainable management technologies, and through policies and partnerships. The project has been promoting durable change at scale in South Asia’s cereal-based cropping systems for several years now. It operates through rural “innovation hubs” in Bangladesh, India, and Nepal, and complements regional and national efforts. The project in Tamil Nadu is jointly implemented by IRRI, the International Maize and Wheat Improvement Center (CIMMYT), the International Food Policy Research Institute, and the International Livestock Research Institute. It is funded by the Bill & Melinda Gates Foundation and the United States Agency for International Development. The CSISA Tamil Nadu Hub Celebration Workshop was held on 15-16 September in Thanjavur. An Information and Communications Technology (ICT) laboratory for disseminating new rice production technologies was officially opened at the Soil and Water Management Research Institute (SWMRI) in Kattuthottam, Thanjavur District in Tamil Nadu on 15 September. V. Ravi, director of the Tamil Nadu Rice Research Institute; R. Rajendran, head of the Coconut Research Station; and Dr. S. Porpavai, head of SWMRI; as well as SWMRI students attended the event. The new ICT lab was constructed with the help of the International Rice Research Institute (IRRI) through the Global Rice Science Partnership (GRiSP) in collaboration with the Indian Council of Agriculture Research. Dr. Ravi thanked IRRI for its generous support while Dr. Rajendran was grateful for IRRI's its support for "the youth in agriculture." The use of ICT tools for agricultural extension is one of the most cost-effective means of delivering technologies. The state of Tamil Nadu has been one of the forerunners in carrying out innovative information technology-based extension services, mainly through the Agritech portal of theTamil Nadu Agriculture University and the Agrisnet portal of the Department of Agriculture, Government of TamilNadu. Established in 1972 under the Tamil Nadu Agriculture University, SWMRI is one of the centers of the university that started some research on standardizing irrigation techniques for several field crops with special emphasis on rice. Apart from core research programs, SWMRI also runs a two-year diploma course in agriculture with an intake of over 40 students per year, 50% of which are girls. SWMRI also directly trains over 2,000 farmers every year and is also involved with NGOs and other organizations in disseminating technologies. Partner organizations of the International Rice Research Institute (IRRI) agreed to extend the research and development initiatives under the Cereal Systems Initiatives for South Asia (CSISA). “The Tamil Nadu Agricultural University (TNAU) will take up the outscaling of key technologies under CSISA although the project has already ended,” said R. Rajendran, TNAU agronomist, who has been associated with the CSISA project for the last seven years. Dr. Rajendran made the statement during the “CSISA Tamil Nadu Hub Celebration Workshop” on 15-16 September held in Thanjavur. “TNAU will follow through on extending technologies such as the improved dry seeded rice cultivation, the nonpuddled machine rice transplanting, and the laser land leveling,” he said. "The technologies have been widely demonstrated in the Cauvery Delta through the CSISA project. Also, the research initiatives conducted through CSISA will not stop. The research outcomes will be taken continually to the farmers with the support from the Government of Tamil Nadu and TNAU,” he added. The Tamil Nadu Rice Research Institute (TRRI) and the Soil and Water Management Research Institute (SWMRI) are also closely working together with the CSISA team and partners to widen the adoption of the water- and labor-saving technologies in the Cauvery Delta and the entire rice-growing areas of Tamil Nadu. TRRI hosted the research platform of the CSISA project while SWMRI delivered the CSISA technologies in the Cauvery Delta. “Tamil Nadu and IRRI have maintained a long-standing relationship for more than four decades through a number of projects,” said Dr. Rajendran. “But the footprints left today in celebrating the impact of the CSISA technologies in the Cauvery Delta will live on. For example, the dry seeded rice technology and the use of seed drill have reduced the amount of fertilizer and seeds used by farmers, which eventually reduced the cost of rice production and increased the income for farmers." 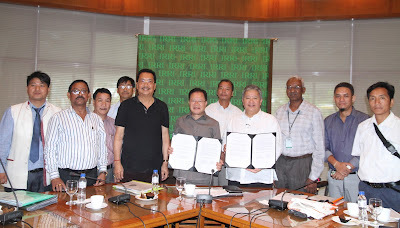 “With the impact of the CSISA technologies and the continuation of the initiatives, I am optimistic that the relationship between TNAU and IRRI will continue in the next ten years,” he added. Dr. Rajendran thanked CSISA’s partner institutions, the International Maize and Wheat Improvement Center, the International Food Policy Research Institute, the International Livestock Research Institute, the World Fish Center, and IRRI. These institutions have supported the State in improving the lives of rice farmers in the Cauvery Delta as well as the capacity-building goals of TNAU and other institutes and organizations in Tamil Nadu, according to him. developed by the International Rice Research Institute (IRRI) and is based on the principles of site-specific nutrient management (SSNM) technology. It provides fertilizer guidelines matching the field-specific needs and conditions of the farmer. This is one of the highlights reported by IRRI scientist P.Panneerselvam at the CSISA Tamil Nadu Hub Celebration Workshop on 15-16 September held in Thanjavur. With the use of NMR, farmers can save 15–20% of nitrogen, 36–42% of phosphorous, and 28% of potassium compared with state fertilizer recommendation; and 33–42% phosphorous and 30% potassium compared with farmer’s practice. These were the results from an on-farm participatory research done from 2013 to 2015 in Thanjavur, Thiruvarur, and Nagapattinam districts in Tamil Nadu. "However, fine tuning of the recommendations is going on with state institutions along with their confirmation of the recommendations. These are steps that will need to continue beyond the current project," said Dr. Noel Magor, head of the Impact Acceleration Unit and Training at IRRI. In addition, the NMR technology can reduce fertilizer use by 24,000 tons in the Cauvery Delta and cut the costs of fertilizers by 930–2,500 million rupees. Moreover, the use of the NMR technology is seen as a huge potential because the Tamil Nadu government has recently announced that all rural households would be provided with low-cost internet connectivity. This will increase the number of farmers and rural youths who will be using the internet for agriculture. India has an imminent need to increase its rice production. The country’s demand will be 120 million tons by 2030 in order to feed a population of 1.5 billion. Presently, its rice production is 104 million from 44 million hectares of rice area. The Grain Quality and Nutrition Services Laboratory (GQNSL) was awarded on 18 September 2015 with a PNS ISO/IEC 17025 reaccreditation, said to be effective from 2015 to 2020 and subject to ongoing compliance with laboratory testing standards by the Philippine Accreditation Bureau (PAB). PAB director Ernani Dionisio handed the certificate of reaccreditation to GQNC head Dr. Nese Sreenivasulu and GQNSL Lab and Quality Manager Lily Molina. "This is an important step forward because at the International Rice Research Institute (IRRI), we have been breeding different varieties to enhance yield as part of the Green Revolution for decades, and from the last 10 years or so, there's more focus now on grain quality," said Dr. Sreenivasulu. He explained that, with the newly received accreditation, GQNSL will be able to expand its scope of tests to include more grain quality-related issues besides focusing on soil, water, and micronutrient aspects. Dr. Sreenivasulu also stressed that they hoped to gain insight into consumer demand in terms of cooking or eating quality, besides equally paying attention to what farmers, traders, or millers would need in terms of milling or the morphological characteristics of any rice grain. "It's better for us to capture all of those attributes thoroughly, then facilitate tools with the breeders, who, in turn, will use them to develop premium quality rice varieties that match the regional preferences of South and Southeast Asian countries,” he intimated. “So this is where we are heading in terms of restructuring our activities. I'm pretty happy to see this develop even more or extend where IRRI is kind of now moving forward with this advancement—in offering services—as well as in doing research in the area of grain quality." Just in May of this year, GQNSL underwent two days of rigorous audit from PAB and successfully received a recommendation for its ISO 17025 reaccreditation. GQNSL would again have to submit to 3 surveillance visits over a period of 5 years and two months before the conferred accreditation expires in 2020, to reapply for renewal of its accreditation from PAB. "Our laboratory's journey toward ISO accreditation is still not over," noted Ms. Molina. "We aim to raise GQNSL's level of excellence by maintaining its lab accreditation and expanding the scope of its services despite having to face so many challenges, such as reduced funding and downsizing of staff, among others," she said. "We also encourage other IRRI laboratories to become ISO 17025-accredited. Admittedly, it takes passion and dedication to reach the hallmark of being an ISO 17025-accredited chemical testing lab—but, it can be done," Ms. Molina concluded. 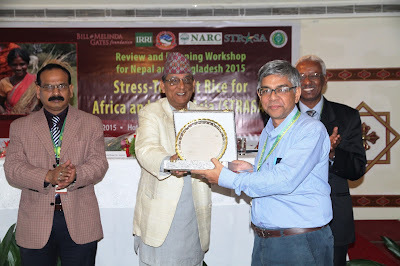 Targeted research and robust seed delivery systems for Bangladesh and Nepal were the objectives for STRASA Phase 3 Year 2, as the project held its annual planning and review of Year 1 in Kathmandu, Nepal, on 17 September 2015. 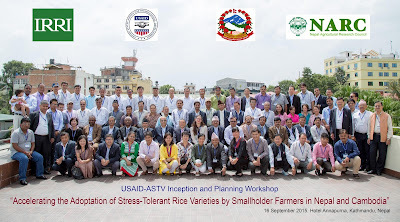 About 120 participants from India, Bangladesh, Nepal, Cambodia, and the Philippines discussed how the development of multi-stress-tolerant rice varieties (STRVs) can be accelerated and their seeds multiplied and disseminated by multiple partners in the seed sector in Bangladesh, India, and Nepal. “IRRI has already contributed about 50% to rice variety development in Nepal and I’m very happy about how the STRASA project is boosting our efforts to produce more rice in the country,” Dr. Chet Raj Upreti, executive director of the Nepal Agricultural Research Council (NARC), said during the inaugural program. Dr. Md. Hemayet Hussain, Joint Secretary of the Ministry of Agriculture of Bangladesh, gave the opening remarks. “It is with great pleasure that the STRASA Project, coordinated by IRRI, has been helping our farmers, especially in less favorable regions, to boost their farm incomes through increased rice production,” he declared. “The dissemination of STRVs has further helped our farmers produce rice even when their fields are experiencing extreme conditions, such as flooding or drought,” he further stated. Chief Guest Dr. Bhartendu Mishra, honorable member of the National Planning Commission of the Government of Nepal, also gave his remarks. “I congratulate the STRASA team for their painstaking work to achieve landmark results in developing climate-resilient rice varieties. I appreciate the joint efforts of NARC and IRRI, who developed and released eight drought-tolerant (Sukkha Dhan 1, 2, 3, 4, 5 and 6; Tarahara 1; and Hardinath 2) and two submergence-tolerant (Swarna-Sub1 and Samba Mahsuri-Sub1) rice varieties, which are popular in Nepal,” he said. “STRASA has been contributing in the development of seed-net in Nepal, which will increase the seed replacement rate (SRR) and varietal replacement, as well as supporting the long-term National Seed Vision 2013-2025 of the Government of Nepal,” he added. The event highlighted major achievements of the project in Phase 3 Year 1 in both Bangladesh and Nepal. Likewise, the status of the role of small and medium seed producers and associations in Bangladesh, as well as that of the seed supply cooperatives in remote areas, were presented. Seed producers and organizations that have been greatly contributing to the successful promotion and dissemination of the STRVs were also recognized during the meeting through the awarding of plaques of appreciation. These include the Bangladesh Agricultural Development Corporation, South West Seed Producers’ Association of Bangladesh, Small and Medium Seed Producers’ Association, South Bengal Seed Association, Seed Association of Bengal, GMS AGRITECH Private Limited, National Seed Company Limited, and Lumbini Seed Company. The one-day meeting was capped off by closing remarks given by Dr. Abdelbagi Ismail, STRASA overall project leader. “I am very pleased with the track of success STRASA has maintained since Phase 1 until now, making it the flagship project not only of IRRI but also of the whole of GRiSP and the Bill & Melinda Gates Foundation since its implementation in 2008,” he stated. “Only a few projects have ever had such accomplishments and impacts that are expected to extend beyond the project’s lifetime,” he concluded. Dr. Uma Shankar Singh, acting IRRI representative to India and Nepal, and Dr. Bhaba Tripathi, senior associate scientist in the IRRI-Nepal office, served as overall coordinators for the annual STRASA meeting. Please click here for the STRASA meeting program. The International Association for the Plant Protection Sciences (IAPPS) has bestowed upon K.L. Heong the International Plant Protection Award of Distinction (IPPAD). Dr. Heong was an entomologist at the International Rice Research Institute (IRRI) for more than 25 years (1988-2013). At the awarding ceremonies in Berlin, Germany, during the XVIII International Plant Protection Congress (IPPC) on 24 August, he was cited for his contributions to the study of tropical rice insect ecology, which has led to an understanding of the reason for certain rice pest outbreaks, especially the devastating brown planthopper (BPH). He was also recognized for his global networking with many colleagues in other disciplines, professions, and countries, in the development and implementation of improved policies and strategies for the sustainable management of rice pests. KL’s biodiversity research, designed to promote the action of biocontrol agents, included the growing of plants, particularly on the levees, that provide food for natural enemies. His research studies were unique among plant protection scientists as they were designed to transfer best management practices to farmers through social science research and techniques. His studies showed that effective pesticide polices and regulations are a key component for the development, implementation, and sustainability of national rice transfer integrated pest management (IPM) programs. As shown in the illustrations here, KL’s approach was to distill science into simple rules and IPM technology through mass educational campaigns consisting of several forms of media —soap operas, radio, TV, comic books, and videos. KL is currently the Qiushi Chair Professor at Zhejiang University, Hangzhou, China. Professor Zhu at Zhejiang University accepted the award on behalf of KL who could not be present. View three excerpts from KL’s IRRI Pioneer Interview in which he discusses the fact that routine spraying of insecticides on rice crops is unwise and puts forth some challenges for IRRI in the future. The IPPAD was first presented at the IPPC held in Rio de Janeiro in 1991 to honor those who have made significant contributions to plant protection on an international basis and who otherwise have served with distinction in advancing the cause of the plant protection sciences. Los Baños, Philippines – Home to the University of thePhilippines Los Baños since 1908, and the International Rice Research Institute (IRRI) since 1960, Los Baños (Spanish word for “the baths”) is known as the Special Science and Nature City of the Philippines. As part of its 400th Founding Anniversary and 14th Bañamos Festival, thousands of residents joined the colorful parade that stretched from the National Road and into Paciano Rizal Park early in the morning of 17 September 2015. During the festivities, Los Baños honored its rich history and recognized the year's outstanding citizens and the contributions of its hosted organizations, including IRRI. The award was received by Bruce Tolentino, IRRI deputy director general for communication and partnerships, and was given by Mayor Caesar Perez; Congressman Joaquin Chipeco; and Mark Lapid, chief operating officer of TIEZA. 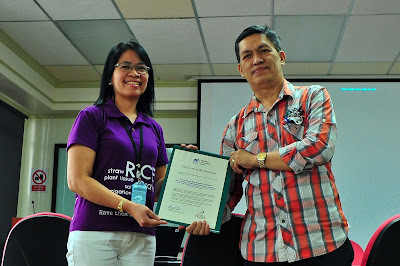 Mayor Perez recognized IRRI's donations and efforts in conducting livelihood programs and training workshops in emergency response and disaster preparedness in the community. Rice production is very important to the food supply and national economies of Nepal and Cambodia. However, these countries suffer from low production of rice caused by insufficient rain, irrigation problems, flooding, lack of seeds, and outdated traditional technology. 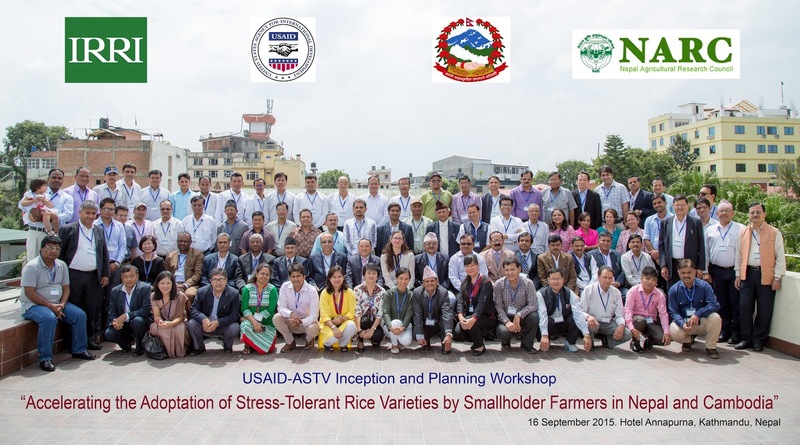 Accelerating the Adoption of Stress-Tolerant Rice Varieties by Smallholder Farmers in Nepal and Cambodia (USAID-ASTV) was launched to help solve some of the problems plaguing their rice productivity. The project seeks to contribute to the efforts of the United States Agency for International Development (USAID) and the governments of Nepal and Cambodia toward poverty and hunger reduction and increase food and income security for resource-poor farm households, through provision and distribution of high-yielding rice varieties tolerant of abiotic stresses. USAID-ASTV, funded by USAID, recently concluded its inception and planning workshop for Nepal in Hotel Annapurna, Kathmandu on 16 September. The event had intensive discussions on quality seed production of STRVs and multiplication by both public and private sector, as well as how the project can capitalize on the seed system and new seed policy in Nepal for the success of the project. Welcoming the participants totalling 110 in the opening session, Director General Yubak Dhoj G.C. of the Department of Agriculture, Government of Nepal, acknowledged IRRI’s efforts for providing about 252,000 tons of seeds of different stress-tolerant rice varieties (STRVs) such as drought-tolerant, Sukkhadhan 1 to 6 and submergence-tolerant, Swarna-Sub1 and Samba Mahsuri-Sub1, to name a few. Dr. Abdelbagi Ismail, overall project leader and IRRI principal scientist, acknowledge the contribution of all the participants to the group discussions and workplan development for the project’s main activities. These are the drought- and flood-tolerant varieties; seed production and distribution and policy issues; biotic stresses; gender and social equity; GIS and targeting; and M&E and other socio-economic studies. Meanwhile, Dr. Faith Bartz from USAID-Washington, presented the Feed the Future program, the U.S. Presidential food security initiative, to which this new project is aligned. “I would like to see strong collaboration of project stakeholders with agriculture secretaries and ministers in achieving the project’s activities and updates,” said USAID Mission in Nepal AID Project Development Specialist, Mr. Navin Hada. He encouraged the project implementors to come up with strong coordination mechanism with public and private sector. 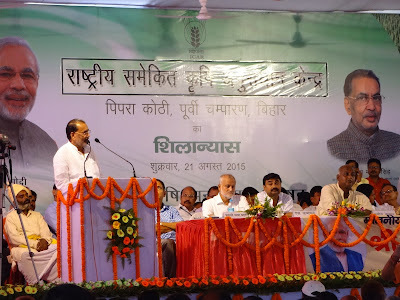 Dr. Uma Shankar Singh, acting IRRI representative to India and Nepal, and Dr. Bhaba Tripathi, senior associate scientist in IRRI-Nepal office, served as overall coordinators for the event. 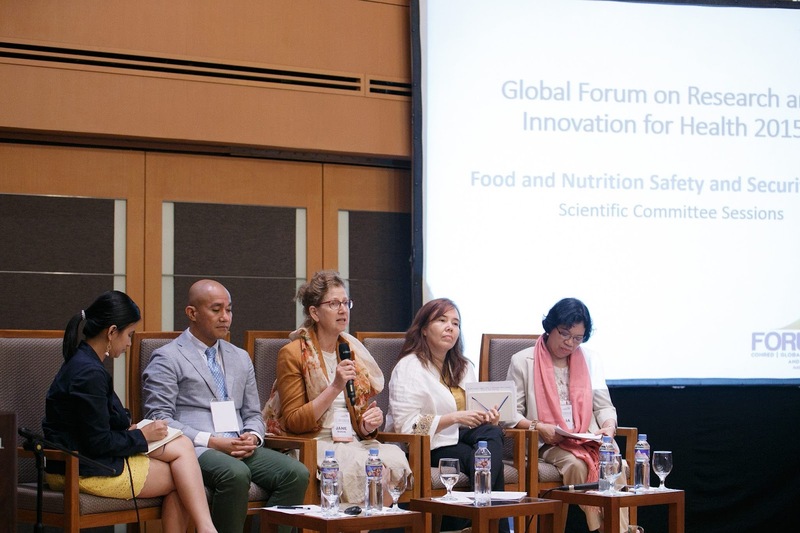 The International Rice Research Institute participated in the Global Forum on Research and Innovation for Health 2015 to identify innovative solutions to the world’s unmet health needs. In a pre-forum activity entitled, "New Leaders for Health," Inez Slamet-Loedin, IRRI senior scientist and head of the Genetic Transformation Laboratory, discussed the institute’s work on nutrition, climate-smart, and biofortified rice. “Genetic modification and biofortification of rice are complementary approaches that can provide micronutrients since rice is highly consumed in many parts of the world,” said Dr. Slamet-Loedin. “Food security will remain a major challenge that is why we need climate-smart and more nutritious rice,” she added. The pre-forum is in conjunction with the Global Forum on Research and Innovation for Health 2015, where Dr. Robert Zeigler, IRRI’s director general, delivered a talk on food production and food security. The Global Forum on Research and Innovation for Health was held on 24-27 August at the Philippine International Convention Center in Manila. It was hosted by the Philippine government and organized by the Council on Health Research for Development. WeRise is a seasonal climate forecast-based app designed to maximize rainfed rice production through efficient natural resource management. The app could assist farmers with their crop production decisions by providing crucial weather information such as start and end of the rainy season and distribution of rainfall, optimum sowing time, amount and timing of fertilizer application, and the most suitable variety to plant. Developed under the Climate Change Adaptation in Rainfed Rice Areas (CCARA) project, WeRise will serve as the springboard for Climate Change Adaptation through Development of a Decision-Support tool to guide Rainfed Rice production (CCADS-RR). CCADS-RR, is the new phase of the IRRI-Japan Collaborative Research Project (IJCRP), which is funded by the Ministry of Agriculture, Forestry and Fisheries of Japan. The CCARA project will end on 30 September. 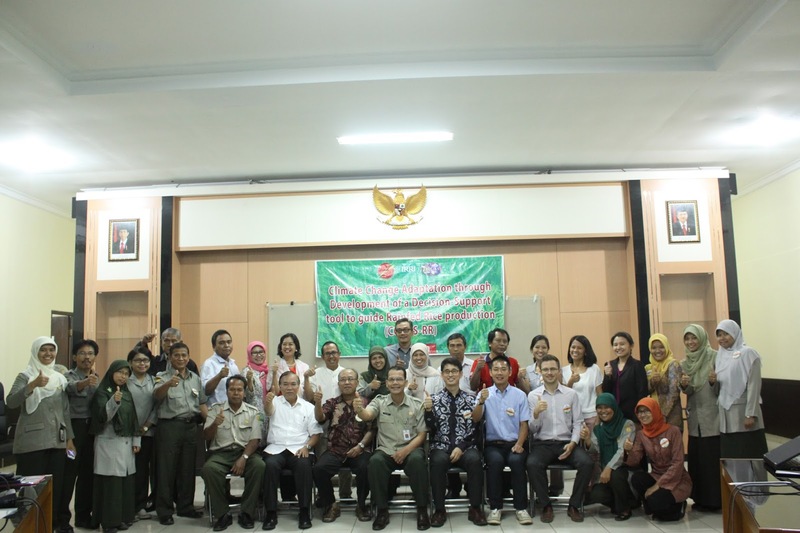 CCADS-RR invited potential stakeholders including representatives of the Assessment Institute for Agricultural Technology (AIATs) from North Sumatra, West Java, Central Java, East Java, West Nusa Tenggara, and South Sulawesi. They discussed the project concept and details of the work plan such as experiment protocols, data management and sharing, and other areas for possible collaboration. 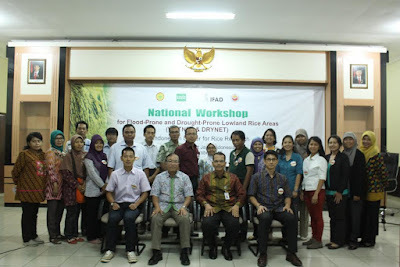 During DRYNET and WETNET, a series of meeting on the networks for drought-prone lowland and swampland, staff from several AIATs, Indonesian Agroclimate and Hydrology Research Institute, Indonesian Soil Research Institute, and Indonesian Swampland Agriculture Research Institute presented technology innovations in their respective rice ecosystems. The meetings aimed to ensure that the researches being conducted address the local developmental needs by strengthening the network of institutions for technology development and dissemination and putting in place a more effective monitoring and evaluation system. WETNET and DRYNET are supported by CURE, which is funded by the International Fund for Agricultural Development (IFAD), a regional platform for partnerships among institutions from South and Southeast Asia. The meetings were held at ICRR in Sukamandi, Indonesia on 9-10 September. A total of 42 participants attended the two events organized by IRRI, JIRCAS, and ICRR. CCADS-RR, headed by Keiichi Hayashi held a separate meeting with officials from the Indonesian Center for Agricultural Land Resources Research and Development (ICALRRD), Indonesian Soil Research Institute (ISRI), and IAHRI in Bogor, Indonesia on 11 September. Dr. Hayashi, coordinator and soil scientist at IRRI, presented WeRise and discussed ways to align it with Indonesia’s Integrated Cropping Calendar technology, locally known as Katam. Katam is also a climate change adaptation technology that aims to assist farmers with their crop production decisions. WeRise targets rainfed lowland areas while Katam is more suitable for irrigated areas. Dr. Ir. Dedi Nursyamsi Affendi, M. Agr., director of ICALRRD, expressed his strong support for WeRise noting that the Ministry of Agriculture now places importance on developing rainfed rice areas and other sub-optimal lands. Bangladesh, the most densely populated country in the world with 153 million people, also has one of the highest rates of undernutrition in the world. While almost 50% of Bangladeshis work in the agriculture sector, the country faces challenges for agriculture-led growth and food security. Bangladesh is one of the countries included in President Barrack Obama’s Feed the Future, his signature global hunger and food security initiative to reduce hunger and malnutrition through agricultural development. About 45 participants comprised of Bangladesh farmers, farmer-groups, non-government organizations, private sector, government extensionists, and research institutes attended a workshop during the inception of Feed the Future: Bangladesh Rice Value Chain project funded by the United States Agricultural and International Development. 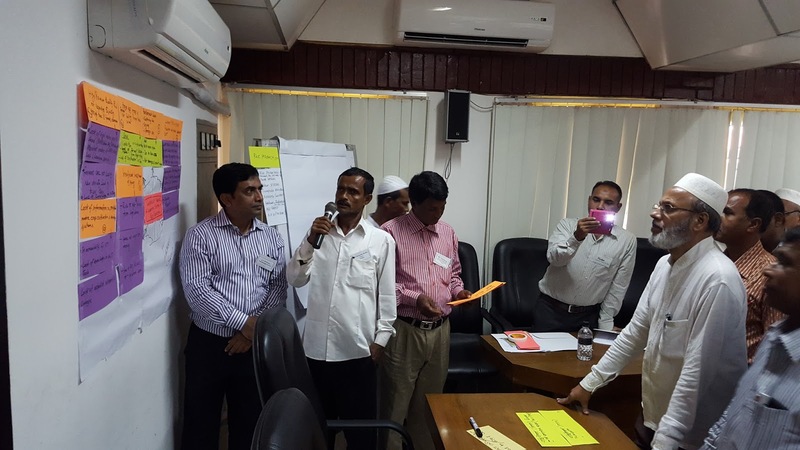 The participants planned the strategies and approaches that will lay the groundwork of the 15-month project, which will address the key constraints in the rice-based value chain in Bangladesh. “We will revisit the project design, validate, and provide suggestions how we can most effectively implement the project,” shared Timothy Russell, project leader of Feed the Future: Bangladesh Rice Value Chain. The workshop used Participatory Impact Pathway Analysis (PIPA) as a tool for project partners to be fully involved in the project planning process, according to Dr. Russel. 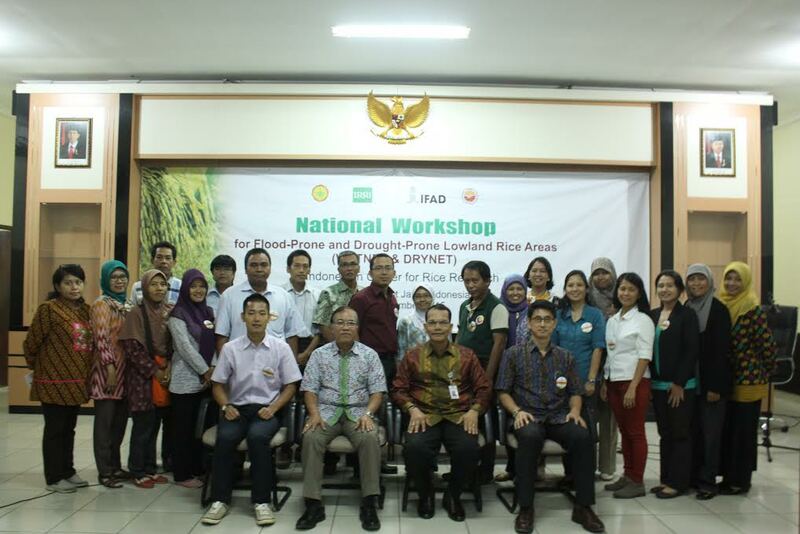 “In doing this, participants developed a better understanding of the project objectives and, in broader terms, the rice value chain and the aspirations of actors along the chain,” he added. Facilitated by Martin Gummert and Reianne Quilloy from the International Rice Research Institute (IRRI), the workshop aimed to 1) identify and analyze rice value chain issues in Bangladesh, 2) discuss opportunities to address it, 3) characterize stakeholders who could help improve the rice value chain, and illustrate their patterns of interaction, and 4) develop impact pathways to identify entry points where the project stakeholders could help. Project stakeholders planned for next project activities that will consist of finalizing memorandum of understanding between IRRI and selected stakeholders, hub-level planning for targeted strategies, and develop an annual workplan between IRRI and its project partners. The workshop was held in Bangladesh Agricultural Research Council Conference Room in Dhaka, Bangladesh on 9-10 September. Ruaraidh Sackville Hamilton, head of the International Rice Genebank, will soon be on loan with the secretariat of the International Treaty on Plant Genetic Resources at the Food and Agriculture Organization (FAO) of the United Nations to bolster the implementation of the International Treaty. He will spend part of his time in Los Baños and part in Rome. An evolutionary biologist with four decades of experience in plant genetic resources, Dr. Sackville Hamilton will share his deep scientific expertise as head of the Genebank, maintained by the International Rice Research Institute (IRRI), to strengthen the global information system (GLIS) on plant genetic resources under the Treaty and its multilateral system of access and benefit-sharing, which covers—in addition to rice—34 crops and 29 forages. “Ruaraidh’s expertise, which draws on and honors thousands of years of farmers’ knowledge, will be made available to help address a broader set of global food security challenges through the scientific and informatics work of the Treaty,” said Robert Zeigler, director general of IRRI. Ruaraidh will further the development of GLIS, which will integrate and enhance existing systems that facilitate exchange of scientific, technical, and environment-related information related to plant genetic resources. The International Rice Informatics Consortium, established by IRRI, will provide the basis for the structure of the information system. He will be based at IRRI for much of the year and working at the FAO in Rome for significant stretches. “Through GLIS, FAO will be a major provider of information exchange in the future knowledge economy around plant genetic resources for food and agriculture,” said Ren Wang, assistant director general of FAO’s Agriculture and Consumer Protection Department, which hosts the Treaty. Dr. Wang was deputy director general for research at IRRI from 2000 to 2007. The multilateral system seeks to facilitate access to plant genetic resources for conservation and use in research, breeding, and training, guided by global food security goals and to ensure that resulting benefits are shared equitably. Dr. Sackville Hamilton will help develop options for improving the instruments that enable the fair and equitable sharing of genetic resources. This arrangement recognizes the leading roles IRRI and the International Rice Genebank have played in global efforts toward genetic resource conservation as well as Dr. Sackville Hamilton’s standing in the field. After an extensive global search, the International Rice Research Institute (IRRI) is pleased to announce the appointment of George Kotch as IRRI’s head of plant breeding. Dr. Kotch will assume this role on 19 October 2015. George brings to the Institute more than 25 years of formidable experience in research and industry. His career has been driven by a combination of excellent leadership, team building, and communication skills. He had led the global R&D agendas of Seminis, Syngenta, and HM.Clause. More recently, he established his own biotechnology consulting company, George Kotch & Associates, based in California. As regional vice-president of R&D at HM.Clause, he had established the One Company Strategy in the Americas, which revitalized the company’s regional R&D productivity and innovation. While serving as the Head of Global Vegetable Seed R&Dat Syngenta, he improved processes in order to prioritize crop investments and maximize market opportunities. George Kotch received his PhD in Plant Breeding and Genetics from the University of Wisconsin-Madison, an MSc in Genetics from Pennsylvania State University, and BSc in Biology from the University of Scranton. Dr. Morell recently announced that the Plant Breeding, Genetics, and Biotechnology Division (PBGB) will be reorganized from October this year, generating two new divisions, Plant Breeding (to be led by Kotch) and Genetics and Biotechnology. Dr. Hei Leung will serve as interim head of the Genetics and Biotechnology Division. In a recent meeting with IRRI scientists, Morell explained that the evolved organizational structure will enable focused disciplinary leadership at the research division level. Dr. Eero Nissilä has led PBGB since August 2011 and has been instrumental in restructuring IRRI's breeding pipeline and for many progressive operational changes to improve target setting, efficiency, and use of modern breeding methods. An example of these initiatives is the Transforming Rice Breeding Project, which has set the direction toward a more demand-driven and cost-effective breeding pipeline, and is now used as a model in several public sector breeding programs. “IRRI is deeply grateful to Eero for his many contributions to IRRI's efforts to deliver on its vision of ‘rice science for a better world’, and we wish him further success in his new endeavors,” says Morell. International cooperation in areas of research and technology should be strengthened to ensure global food security, China’s Vice Minister of Agriculture has suggested. Vice Minister Chen led a delegation of government officials to explore a renewed partnership between China and IRRI. Scientific collaboration between the two was formalized in 1976 when an IRRI delegation went to China and visited national rice research agencies as well as farmers in rice-growing communes. The collaboration paved the way for the development of the country’s rice economy. Throughout its history, IRRI has attached a great importance to its friendly ties with Chinese scientists and research institutions through cooperation agreements, according to the Vice Minister. The Institute has provided China with many genetic resources that extensively supported the country’s rice breeding program, and its food and agricultural development, he added. China has achieved great strides in its rice production. It is the world’s largest producer of rice, harvesting more than 207 million tons in 2014. The country’s average rice yield is at 6.5 tons per hectare—among the highest in Asia. “China has achieved 11 consecutive years of growth in grain production,” Vice Minister Chen reported. However, he also acknowledged that China’s agriculture development could face “multiple challenges” and “many uncertainties.” These include growing consumption, increasing cost of labor and food production, trade policies, and pressures on the environment. “We need to embark on a sustainable growth and improving the efficiency of agricultural production,” he said. Mathew Morell, deputy director general for research at IRRI, identified some research areas for major collaboration with China: mobile communication technology, genomics and biological revolution, satellite remote sensing, big data, and climate change actions. The Vice Minister agreed with the research priorities Morell presented and said that these largely reflect their own priorities. Los Baños, Laguna — Ministers and dignitaries from 11 Asian countries will visit the International Rice Research Institute (IRRI) headquarters tomorrow, 12 September. The visit is part of the 37th meeting of the ASEAN Ministers on Agriculture and Forestry (AMAF), in addition to the 15th AMAF Plus Three Meetings with China, Japan, and South Korea hosted by the Philippine Department of Agriculture, led by Secretary Proceso Alcala, this year. India will also participate. "IRRI supports ASEAN members in their national rice and food security programs by providing the necessary scientific research as well as technical support and capacity-building," said Robert S. Zeigler, IRRI director general. The ASEAN Integrated Food Security Framework, along with the Strategic Plan of Action on Food Security in the ASEAN Region, enables sharing of any agricultural commodity. A careful assessment of the various ASEAN+3 countries reveals extensive variation in natural resources for rice production. This is also the case for other crops and agricultural commodities. 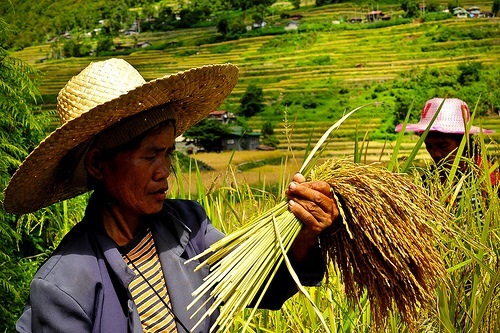 "In effect, each ASEAN nation has a country food security agenda. Each country’s national strategy is linked to the ASEAN regional agenda, bound together by shared aspirations, and facilitated by trade. ASEAN countries could look at exporting high-quality rice to Europe, for example. And Africa is a major growth area because of its rising demand for rice. All these topics, including IRRI’s support to the Philippine Department of Agriculture’s Food Staples Sufficiency Program will be part of the discussions during the ASEAN event," Zeigler noted. The International Rice Research Institute (IRRI) and Bangladesh Rice Research Institute (BRRI) jointly organized a crop management training course on Green Super Rice (GSR) for researchers and extension agents in Gazipur, Bangladesh on 6-7 September 2015. It was attended by 32 participants from BRRI, BRAC, and the Department of Agricultural Extension. The primary objective of this activity was to enhance the skills of extension agents on crop management of newly identified GSR cultivars for varietal release. In addition, emphasis was laid on training these extension agents so they could teach and assist the farmers further in the target regions in Bangladesh. Dr. Jiban Krishna Biswas, BRRI director general, welcomed the participants and addressed them on the importance of such a training activity, especially when two GSR varieties—BRRIdhan69 and BINAdhan17GSR—have been released in Bangladesh. He also mentioned the partnership of BRRI and IRRI and the importance of extending their program not only in their research centers, but also to other organizations such as BRAC. Dr. Md. Islam Uddin Mollah, chief scientific officer and BRRI training head, also welcomed all the participants in behalf of BRRI. Dr. Jauhar Ali, IRRI scientist, gave an overview of the GSR status in Asia and stressed the way forward of upscaling the seeds with a package of practices for newly released varieties. Dr. Helal Uddin Ahmed, GSR project coordinator at BRRI, gave the update on the status of the project and the performance of GSR cultivars in Bangladesh. The topics covered on the first training day were Integrated Pest Management, with Dr. Abdul Latif and Dr. Nur Ahmed as resource persons from BRRI, and a lecture on the Rice Crop Manager given by Dr. Abhijit Saha, also from BRRI. Quality seed production and statistical tools were discussed on the following day by Dr. Md. Khalequzzaman of BRRI and Ms. Rose Imee Zhella Morantte of IRRI, respectively. The participants expressed their keen interest on Green Super Rice and, at the end of the course, they were provided with materials to impart their newly acquired knowledge to a minimum of 100 farmers for each participant in the target region. IRRI alumnus Dr. U Tin Htut was appointed as Permanent Secretary of the Myanmar Ministry of Agriculture and Irrigation (MoAI) on 1 September. Dr. Htut was recognized in 2010 as one of IRRI’s outstanding alumni in the field of rice research management. As an IRRI Ph.D. scholar, he studied plant breeding at the University of the Philippines Los Baños from 1996 to 2000, and, while he was with the Myanmar Department of Agricultural Research, he continued collaborative work with IRRI in breeding rice varieties resistant to bacterial blight disease. In 2003, he was invited as a research fellow in the Institute to assist in the genetic analysis of iron-dense grains. As Permanent Secretary of MoAI, Dr. Htut will be coordinating the seven departments under the ministry, and serve as secretariat for the minister and assist him in managing MoAI. Dr. Htut played a significant role in the development of the Myanmar Rice Sector Development Strategy, which was launched on 20 May in Nay Pyi Taw, having served as a former consultant for the country’s National Medium-term Priority Framework project. Dr. Htut believes that IRRI has a huge contribution to Myanmar’s rice sector as the country aims to regain its place as one of the major players in the global rice market. A new protocol of discussion (POD) with the International Rice Research Institute (IRRI) has been signed by H.E. Chowna Mein, minister for Agriculture, Horticulture, and Animal Husbandry in the state of Arunachal Pradesh, India. Minister Mein led an eight-man delegation for a visit to IRRI headquarters in Los Baños, Philippines, on 31 August-1 September to obtain assistance in improving rice production in the state. The group was met by IRRI Deputy Director General for Communication and Partnerships Bruce Tolentino and IRRI scientists Abdelbagi Ismail, Jagdish Ladha, Kshirod Jena, Roland Buresh, and Sudhir Yadav. The discussions resulted in prospects for which IRRI could provide assistance, such as facilitation for the development of a rice strategy for the state; provision of suitable stress-tolerant, high-yielding varieties for flood- and drought-affected areas; support for the development of an efficient seed system; facilitation of the collection, purification, and conservation of traditional varieties for improvement and future use in breeding; and training of scientists and others involved in the rice value chain. Furthermore, other areas for possible collaboration were identified such as harmonizing seed systems and policies and encouraging the involvement of the private sector. Minister Mein’s visit included a tour of the different facilities in IRRI such as the STRASA and Ecological Intensification (EI) site and Green Super Rice (GSR) field experiments, the International Rice Genebank, the Training Center, and the Grain Quality and Nutrition Center. 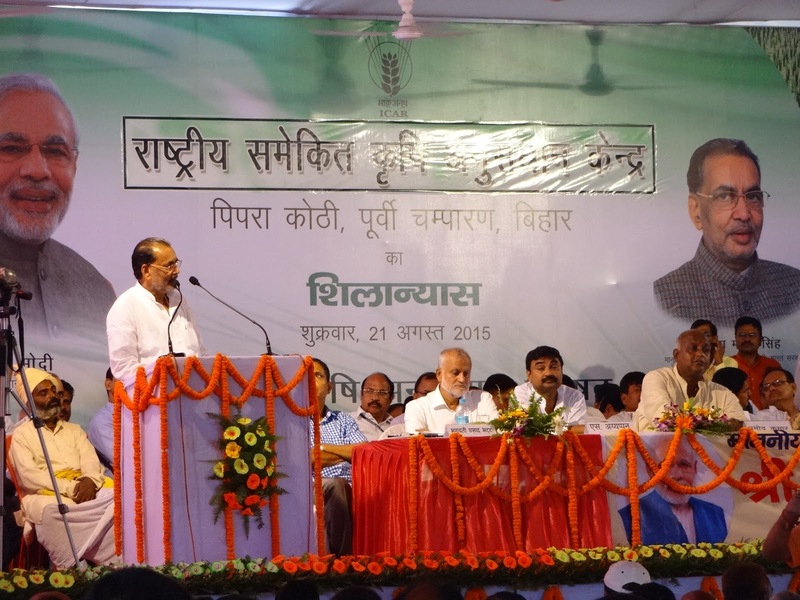 Among Minister Mein’s entourage were Shri Hage Khoda, IAS, commissioner–agriculture; Shri A.K. Purkayastha, state consultant and agriculture advisor; Shri Dusa Lida, deputy director (PP) and SNO (NFSM); Shri T. D. Neckom, DAO(D) and State Oil Palm Officer; Shri Idar Nyori, ADO and Assistant State Oil Palm Officer; Shri Opang Moyong, Instructor (GTC), and District Nodal Officer, Pasighat; Shri R. Duchok, ADO (Hq); and Shri Techi taura, ADO (Hq). The visit was an initiative of the Stress-Tolerant Rice for Africa and South Asia (STRASA) Project. "It is high time for ASEAN member countries, which are in the largest rice-growing regions of the world to support the scientific research necessary for the sustainability of their rice sectors," said Bruce Tolentino, deputy director general for communication and partnerships of the International Rice Research Institute (IRRI), on ensuring food security and strengthening cooperation in agriculture across the region. Sixteen ministers are scheduled to visit IRRI on 12 September as part of the 37th meeting of the ASEAN Ministers on Agriculture and Forestry (AMAF), in addition to the 15th AMAF Plus Three Meetings with China, Japan, and South Korea hosted by the Philippines this year. "The crucial role that IRRI fulfills is providing the scientific foundation, technical support, and capacity-building to each of the ASEAN member-countries in pursuing their own national rice and food security programs," Tolentino said. Each ASEAN member-nation has its own strategy and approach for meeting targets in this area. Some Southeast Asian countries, such as Vietnam or Thailand, export rice, while the Philippines or Indonesia, among others, are rice importers. Myanmar is on its way to regaining its agricultural competitiveness. In the 1950s Myanmar led the ASEAN countries in rice exports. Brunei and Singapore, on the other hand, do import rice, and only the best quality rice. Moreover, Singapore is making investments to become the ASEAN center for biotechnology. "So, each of these countries has differing approaches to achieving their food security goals. But all of these countries are bound together because there is a common ASEAN-wide framework for food security," Tolentino explained. That framework, according to him, which also includes a strategic action plan on food security, does not simply focus on strengthening the national capacity of each of the ASEAN member countries to produce any agricultural commodity, but also facilitation of trade. The strategic action plan was conceptualized as part of the ASEAN member states’ need for a long-term agricultural development plan that focuses on sustainable food production and trade, especially in the context of problems brought about by the food price crisis in 2007–2008. The ASEAN Integrated Food Security Framework, along with the Strategic Plan of Action on Food Security in the ASEAN Region, enables sharing of any agricultural commodity. A close inspection of various countries reveals variation in natural resources for rice production. This is also the case for other crops and agricultural commodities. "In effect, there will be a country agenda and there will be a regional agenda, tied together by trade. ASEAN countries could look at exporting high-quality rice to, say, Europe, for example. And Africa is a major growth area because of its rising demand for rice. All these topics, including IRRI’s support to the Philippine Department of Agriculture’s Food Staples Sufficiency Program will be part of the discussions during the ASEAN event next week," he noted. “Who will suffer most from climate change?” Bill Gates poses this question in his latest blog post and what the Gates Foundation and its partners are doing to help. “The world’s poorest farmers show up for work each day for the most part empty-handed. That’s why of all the people who will suffer from climate change, they are likely to suffer the most,” Gates wrote. This aligns with IRRI’s mission on the challenges of growing rice in the midst of the changing climate. Bob Zeigler, IRRI director general, pointed out that many farmers who belong to the poorest of the poor have not benefited fully from the first Green Revolution of the 60s-70s. This time around, the second Green Revolution seeks to leave no farmer behind. “The Gates Foundation and its partners have worked together to develop new varieties of seeds that grow even during times of drought or flooding,” he adds. The tools he mentioned included the “scuba” rice, a flood-tolerant rice variety that can survive underwater for up to 2 weeks. So far, ten million farmers in South Asia have access to scuba rice, among other climate-smart rice varieties. Scuba rice is being promoted by the Stress-Tolerant Rice for Africa and South Asia (STRASA) Project, an IRRI-led project supported by the Bill & Melinda Gates Foundation. In April of this year, senior officers of the Gates Foundation came to IRRI headquarters to see for themselves the work being done at the world’s premier research center on rice. They toured IRRI’s research facilities and heard updates on the science and partnership between the two organizations, including the latest on climate change-ready rice varieties. Syngenta and IRRI held a training workshop in developing strategies for rice crop health management and reducing production constraints. The activity was part of the Crop Health Management Project under Phase II of the Syngenta-IRRI Scientific Know-how and Exchange Program (SKEP). Researchers from Syngenta and IRRI who attended the workshop on SKEP Crop Health and Training on Statistical Data Analysis discussed research progress and plans and conducted exercises in pest injury identification and assessment, farmer interviews, and field visits. It also included a course designed to provide the 21 participants with a working knowledge on the management, presentation, and statistical analysis of experimental data using Statistical Tool for Agricultural Research (STAR), a freeware developed by IRRI. Since the inception of Phase II, Syngenta and IRRI meet twice a year to review the results and discuss issues and action plans on the implementation of research activities in the different sites. Syngenta researchers conduct surveys of farmers’ fields and on-farm trials in irrigated lowland rice fields of Tamil Nadu and Odisha, India; West Java, Indonesia; Suphanburi, Thailand; Red River Delta, Vietnam. IRRI researchers conduct the surveys in Laguna, Philippines. The meetings also provide opportunities for capacity building as participants are provided the knowledge and skills needed to effectively achieve project goals. The training workshop, hosted by Syngenta–India, was held on 17 to 21 August in Tiruchirapalli, Tamil Nadu, India.